Built in 2002, by the Marine Power and Equipment Company of Seattle, Washington as the Deborah W. for the American Cargo Transport Corporation of Tukwila, Washington. 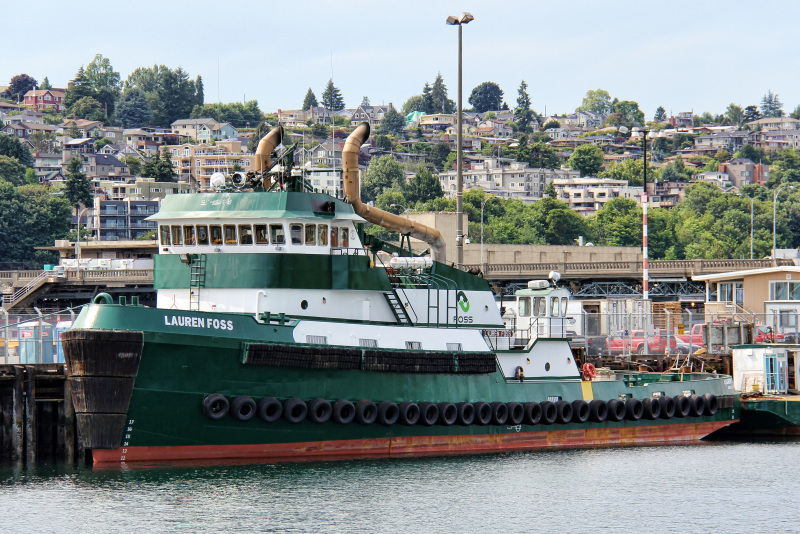 The tug was originally designed to tow 480(ft) triple deck Ro/Ro barges from Seattle, Washington to Alaska. However, the market collapsed and the tug's partially completed round bottom hull, with deck houses, and a pair of General Electric diesel engines all languished for years. In 1984, Halter Marine Services Incorporated of New Orleans acquired the hull but never completed it. 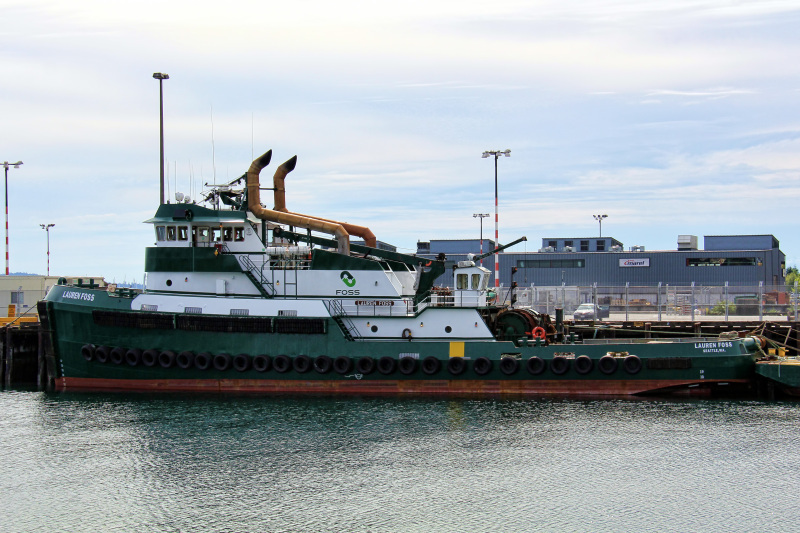 The tug was moved to Halter Marine Service Incorporated's yard in New Orleans, Louisiana. In January of 2002, Duplantis began work on the tug. With a barge that was filled with parts of the uncompleted boat. The tug was about seventy percent complete when it was acquired by the Sun Towing Corporation. They lacked shafts, rudders, and the General Electric diesel engines. Compounded by the fact that many parts on the barge were usable. Once the project began the owners realized that many of the pieces were on the barge, and it was a matter of assembling the pieces of the puzzle. This made the project economical. The next hurdle was bringing the hulls to SOLAS standards. The cost adopting SOLAS standards was another contention the many potential owners may had used to opt away from the tugs. When the hulls were first constructed they were not intended to be SOLAS compliant. However, Smith made the determination to bring them into SOLAS compliance. The challenge was to bring them into compliance with current standards, or the requirements when the keels were laid. Because the keels where laid down in 1982, when SOLAS requirements were not as onerous. An agreement with the American Bureau of Shipping to modify them to meet SOLAS standards with compromises where made in regards to cabins, and the galley. Some of the construction work was more straightforward than the work required to get SOLAS approval. The tugs were originally designed for controllable pitch propellers, thus the marine gears lacked a reverse. The decision was made to eliminate the CP propellers. The gears were sent off to Haley Marine Gears of Greenville, Mississippi, where they were rebuilt, and reverse was added. In the bow of the tug, the original design called for a 48(in) bowthruster to be propelled by shafts powered from the engine room. The builders redesigned the thruster to operated hydraulically. Reducing the risk of mechanical problems. The bowthruster is powered by a single, 500 horsepower Cummins Marine KTA19 diesel engine. Powered by two, keel cooled, ALCO 16-251F diesel engines. To install the ALCOs, the engine beds, which had been built for the General Electric engines, the beds had to be redesigned. With Haley GMC 4228, V-HRC-81390-SB reduction gears. The engine rooms were also redesigned, with new shaft lines, rudders. Turning two, 144(in) by 127(in), Manganese Bronze, fixed pitch propellers, mounted in the newly installed kort nozzles. 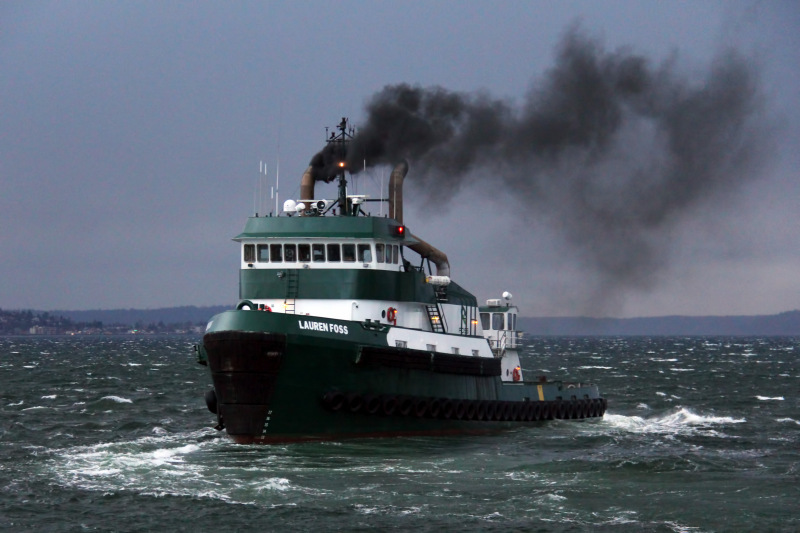 She is a twin screw tug, rated at 8,200 horsepower. The tug's electrical service is provided by two, 179kW, Newage generator sets. Driven by two Cummings N-14-TA diesel engines. With a third, auxiliary, 80kW, Midamerica MN 18100 Gen-Leroy Somer, LSA 43.2, generator set. The tug's capacities are 224,000 gallons of fuel, 1,000 gallons of hydraulic oil, 5,500 gallons of lube oil, 9,000 gallons of water, and 30,000 gallons of wash water. Her towing equipment consists of an INTERcon DD-225, double drum, towing winch. Outfitted with 3,500(ft) of 2.5(in) towing wire on the port drum. And, 2,600(ft) of 2.25(in) towing wire on the starboard drum. Powered by a single, Detroit Diesel 8V-71 diesel engine. Mounted close to the winch. But beneath a weather cover on the stern deck. The tug is also fitted with a 10 ton, hydraulic, deck crane, with a 56(ft) extending boom. In 2002, the Sun Towing Corporation renamed the tug as the Odyssea Quest. 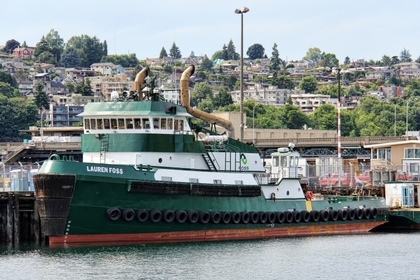 In 2003, the tug was acquired by the Foss Maritime Company of Seattle, Washington. Where she was renamed as the Lauren Foss.